One of the biggest music festivals on the West Coast is coming up this August. 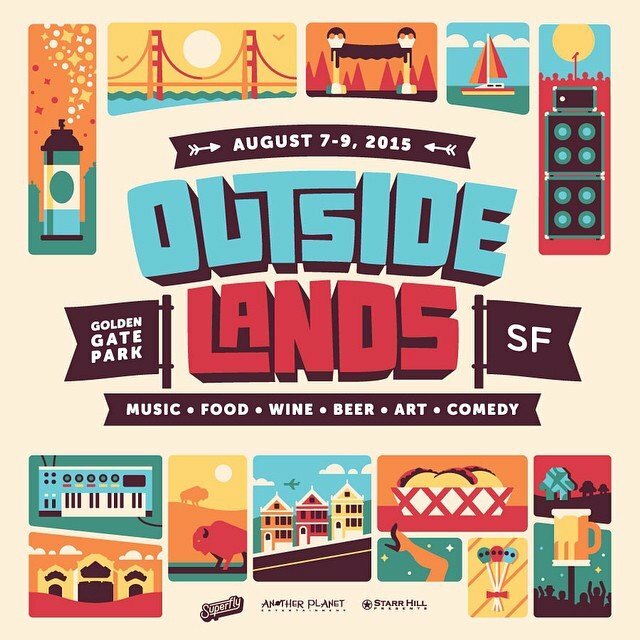 San Francisco’s Outside Lands takes place August 7th-9th at Golden Gate Park in San Francisco, California. Outside Lands began in 2008, as a three-day festival, with Friday as a half day. Since then the festival has improved logistically and grown in size. This year is slated to be the best year yet. This year’s headliners are Mumford and Sons on Friday, The Black Keys on Saturday, and Elton John on Sunday. Other great acts to check out are George Ezra, St. Vincent, Chet Faker, Kendrick Lamar, Tame Impala, Billy Idol, Toro Y Moi, Mac DeMarco, Sky Ferreira, Bones, Slightly Stoopid, and of course, Sam Smith. Three day tickets are $325. Outside Lands has a section called Eco Lands, dedicated to a more environmentally sustainable festival. Unlike many other music festivals, Outside Lands does not have a camp ground. So the expensive part of the trip will probably be your lodging. Make a vacation weekend out of it and stay at a nice hotel. San Francisco is the perfect location for a cooler festival experience, literally. You’ll be sweating all day at Burning Man or Bonnaroo, but if you’re going to Outside Lands, pack a jacket and a beanie.